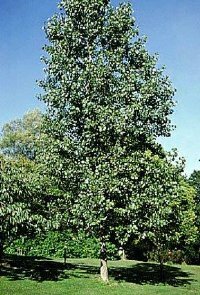 'ROBUSTA' POPLAR - a large, vigorous, upright, male tree to 70' in height. Resistant to leaf rust. Has shown some susceptibility to cold injury in severe winters, canker susceptible. U of MN release.